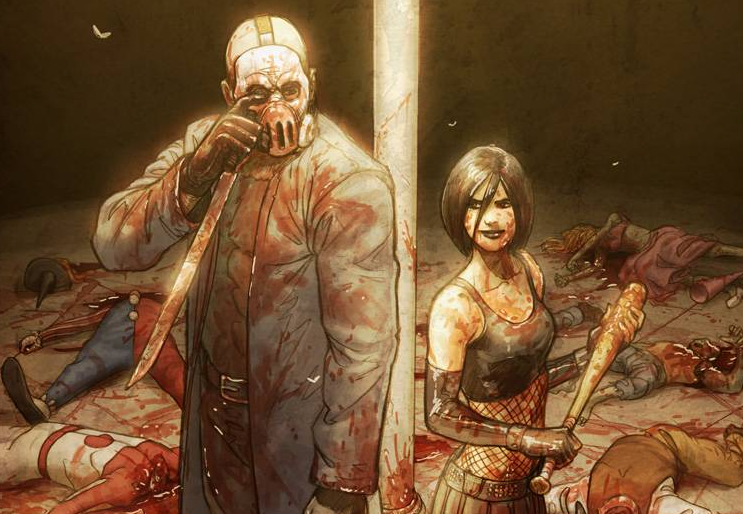 Horror comic series Hack/Slash — about slasher hunter and final girl Cassie Hack and her sidekick Vlad — is finally leaving movie development hell to be adapted for the small screen. Screenwriter Skip Woods (whose not-so-illustrious credits include X-Men Origins: Wolverine, A Good Day to Die Hard and the Hitman franchise) will pen the pilot. Yes, we know how worrisome that is, but apparently creator Tim Seeley will also be involved in the project. No word yet on where the pilot will be pitched, but we’re hoping for a network who isn’t afraid of a little blood and gore. Hack/Slash was created by Tim Seeley and Stefano Caselli, Hack/Slash centers on Cassie Hack, a woman who symbolizes the cliche of the lone girl who survives at the end of every horror movie. However, the emotionally damaged girl not only survived but has become a killer of killers. Along with a burly protector named Vlad, Hack travels across the country hunting slashers in the vein of Halloween’s Michael Myers, Friday the 13th’s Jason Voorhees and A Nightmare on Elm Street’s Freddy Krueger.